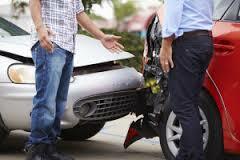 Arnold Law, LLC: Why are Car Accident Deaths on the Rise? Why are Car Accident Deaths on the Rise? You would think as we enter a new era in the United States that car accident fatalities would be dropping substantially. There are much better safety regulations, supposedly better roads, and more ridesharing than America has ever seen. However, in the latest reporting period of 2016 auto-related deaths are on the rise again. Why so many crashes on Baltimore area roads? One of the theories is that drivers are far more distracted now than they have ever been. In recent years our constant companion the cell phone has been the culprit on many occasions. Another theory is that as the economy gets stronger people hit the road more often. So, in spite of safety features and a greater understanding of safe driving, America’s fascination with high-speed and independence continues. If you or a loved one has been injured by a careless driver please call Baltimore area car accident attorney Briana Arnold. Attorney Arnold will spend time with you and vigorously pursue your case. Arrange an appointment at her Baltimore office by calling (410) 484-1400. Back to School for Baltimore - know these dates! The Harsh Statistics of Car Accidents.